I love finding FREE things to do while out and about on our adventures. 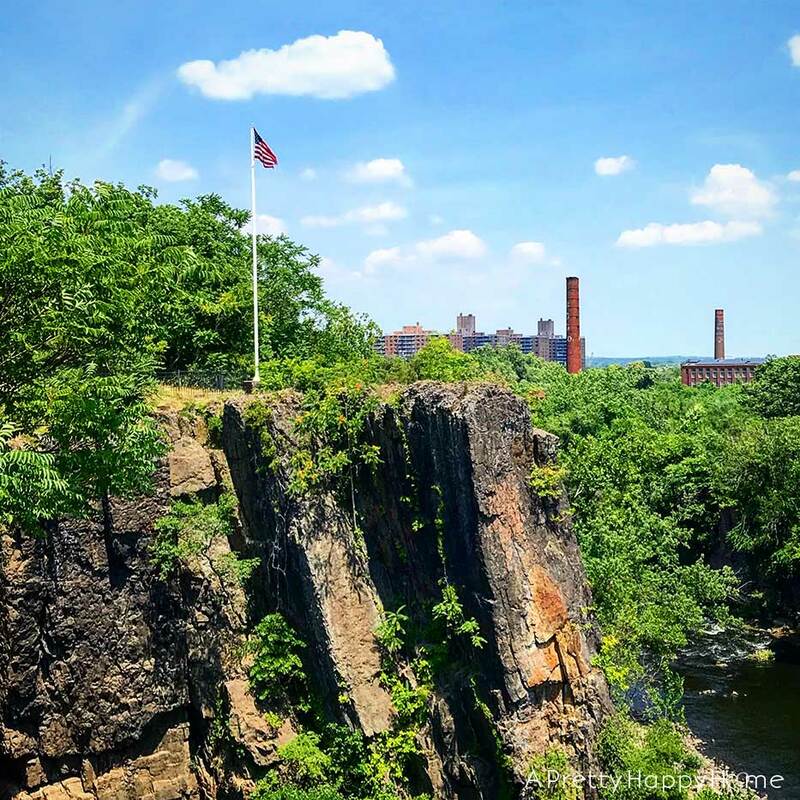 If you are on the East Coast and want to see the birthplace of the American Industrial Revolution, then I recommend a stop in an unlikely spot – Paterson, New Jersey. Paterson is considered America’s first planned industrial city and the idea for it came from Alexander Hamilton. Yes, THE Alexander Hamilton. Paterson has a pretty important feature for an industrial city – particularly one back in the 1800s – water. 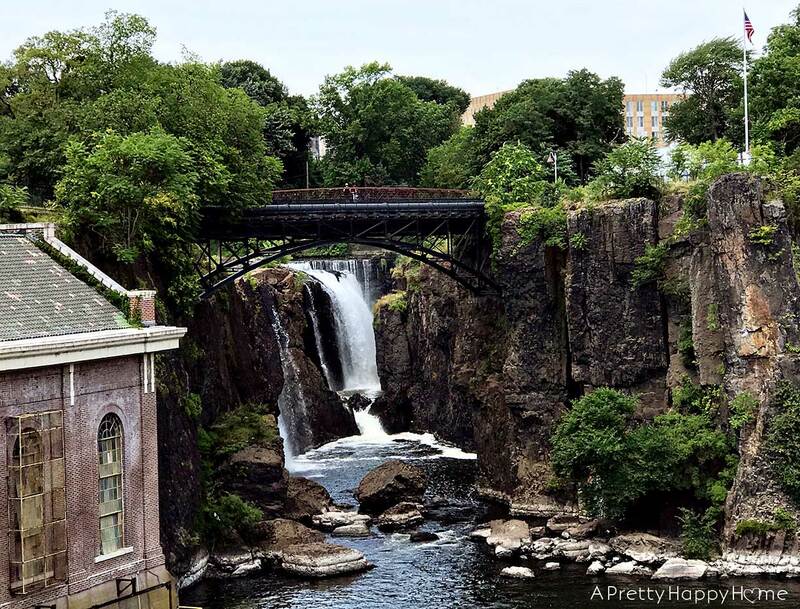 The Passaic River runs through Paterson and the energy from the 77-foot high Great Falls helped power many factories. Great Falls is now a national historic park. At the time of our visit in July 2018, parts of the park were under construction, but access to the falls was still fine. Parking is free at the Great Falls National Historic Park Visitor Center and there is no admission fee for this park. I recommend stopping in the Visitor Center first because this isn’t your average park-like setting. You’re in the middle of a big city and the park rangers in the Visitor Center will help give you the lay of the land. It’s about a 2-minute walk from the Visitor Center to the falls. My kids loved walking over the bridge to the falls viewing area. Okay, I did too! The falls isn’t the biggest we’ve ever seen, but it was impressive. By volume, Great Falls is the second largest waterfall east of the Mississippi, second only to Niagara Falls. Right now, Great Falls National Historic Park feels more like a normal urban park as opposed to some of the big national parks located around the country. There is the falls, the visitor center and some green space – not much more. I’ll be curious to see what the visitor experience is like after they’ve finished construction on the rest of the park. After seeing the falls, we walked a block in the opposite direction of the Visitor Center to the Paterson Museum. 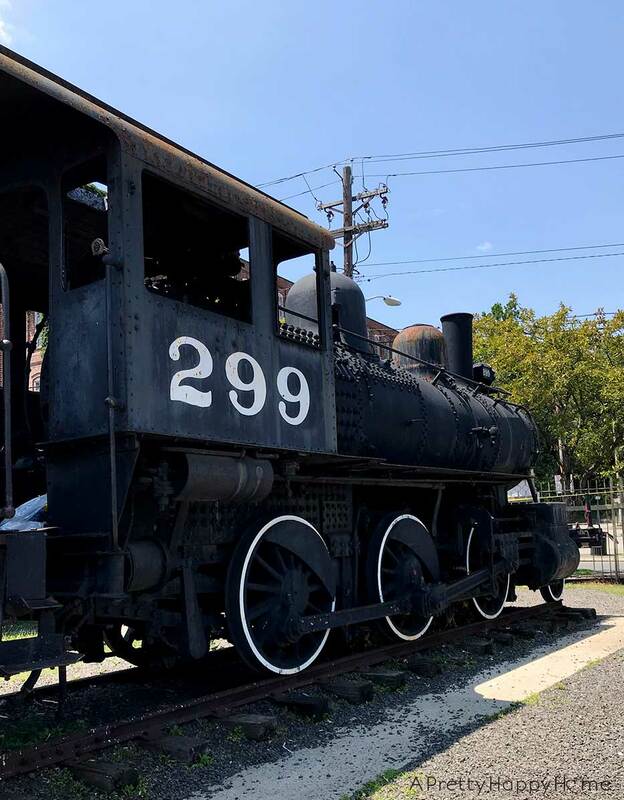 The museum has been open since 1925 and is run by the City of Paterson. Admission is free, but a $2.00 donation is suggested. 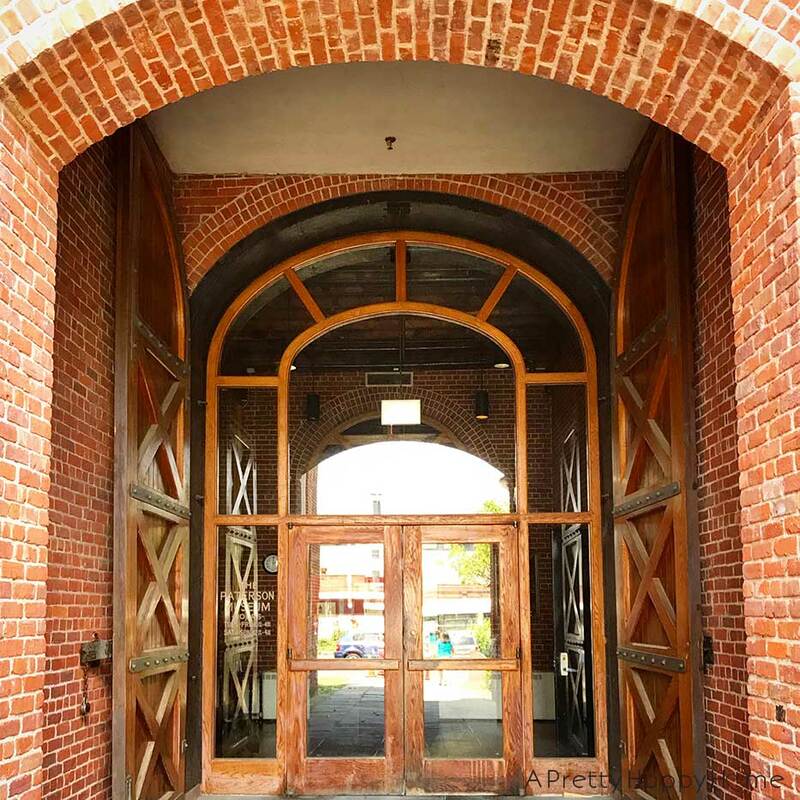 This museum is located in the former building of the Rogers Locomotive and Machine Works. It wasn’t flashy and polished like a national museum, but it was well done and packed with information and artifacts. I actually think the museum is a hidden gem! We learned Paterson has the nickname of Silk City because of the amount of silk production that used to happened there. In 1835 Samuel Colt began manufacturing rifles in Paterson before later moving operations to Connecticut. The Wright Brothers also had an airplane manufacturing facility in Paterson. Irish-American inventor John Philip Holland experimented with submarine production in Paterson. 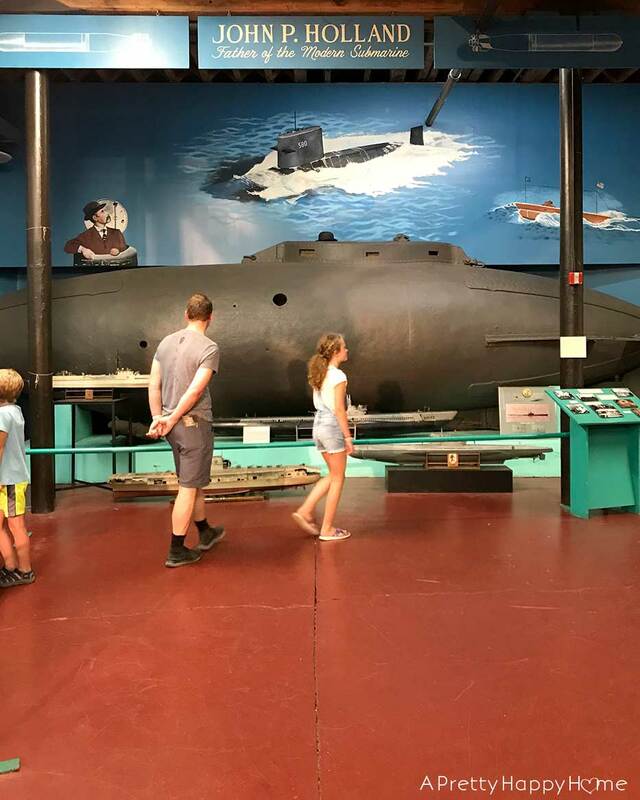 One of his submarines was found at the bottom of the Passaic River and is on display in the museum. Here’s the neatest part of our experience. We were ready to leave the museum and I was digging in my purse for some cash to make a donation. The volunteer at the front desk (and it literally is an old desk) asked my kids if they like to draw. My son isn’t into drawing, but my daughter LOVES to draw. He proceeded to give all four of us a piece of paper and a pencil and asked us to imagine the Great Falls we had just toured. Then he went on to explain in a very encouraging way that drawing is just lines and anyone has the ability to draw. Following his lead with a vertical line, then a squiggly line and so on, he guided us through the process of drawing the Great Falls. It was a really neat, unexpected, unscripted experience. At the end of it, he told us he was an artist and a few years ago had been chosen as the artist from New Jersey to design a Christmas ornament that would hang on a tree in the White House. That, my friends, is the beauty of travel. Even travel in your own backyard. It creates connections between people and cultures. 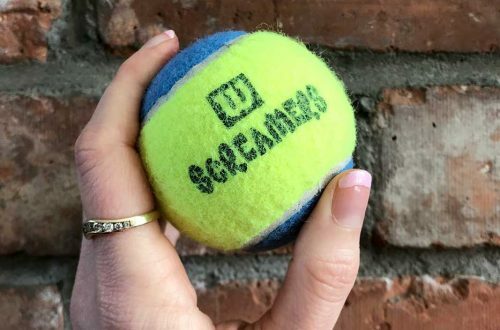 It connects us to the past and helps us imagine the future. It opens us up to new experiences – ones that definitely enrich our lives. My impression of Paterson is that it is a city that has gone through some rough times, but is trying to revitalize itself. I’d say the Great Falls National Historic Park and Paterson Museum will be a key part of that. 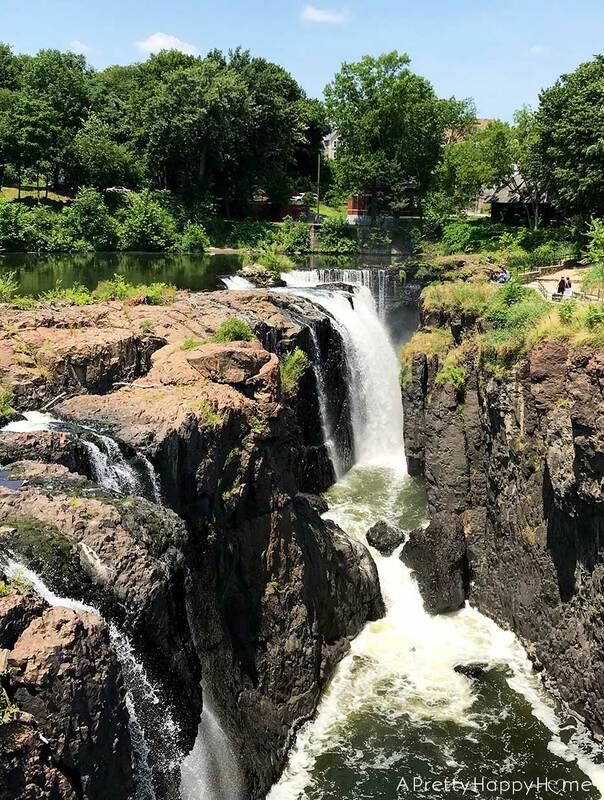 If you’re in the area and need a place to stretch your legs and minds, you’ll be happy you stopped at Great Falls National Historic Park and the Paterson Museum. Definitely make time for both though as one experience completes the other. P.S. If you are Abbott and Costello fans, then after you visit the Paterson Museum, walk a few blocks to tiny Costello (Cianci) Park and there is a bronze statue of Lou Costello. He was from Paterson! 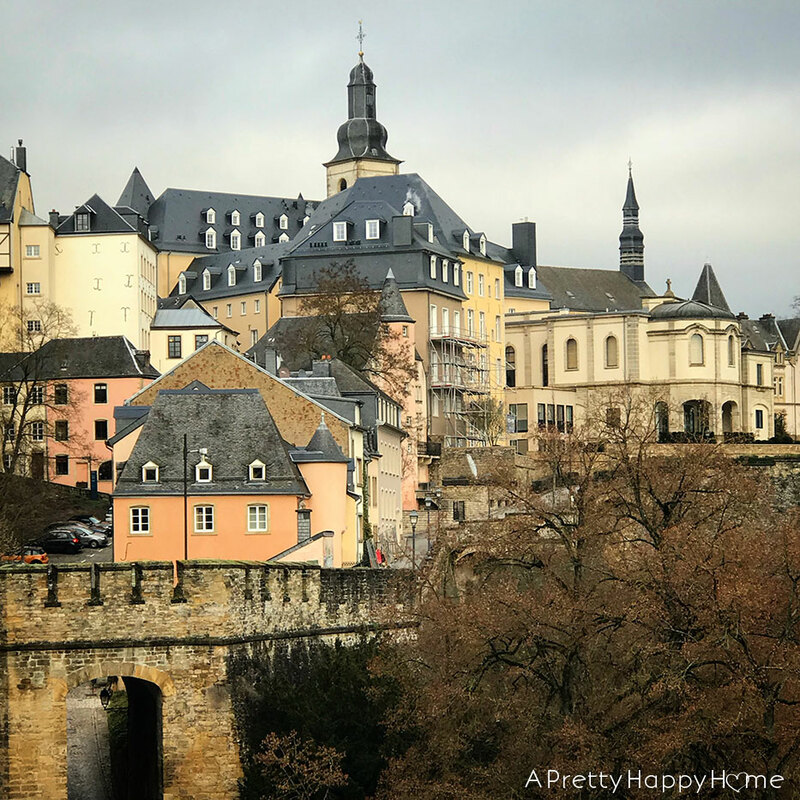 If you enjoy traveling, here are few other posts you might like.